Teddy Wilson & His Orchestra, with vocalist Billie Holiday, saw their rendition on the charts for four weeks. Their version can be heard on Musical Romance (Billie Holiday and Lester Young). Ruth Etting introduced this Ahlert/Turk torch song in 1929. “Mean to Me” had on its flip side the B.G. DeSylva/Lew Brown song “Button Up Your Overcoat” (from the 1929 Broadway musical comedy about championship golf, Follow Through). The record sold over a million copies and both songs hit the charts: “Mean to Me” rising to number three and “Button Up Your Overcoat” peaking at number fifteen. Also in 1929, Helen Morgan’s recording reached number eleven, and in 1937 Teddy Wilson & His Orchestra, with vocalist Billie Holiday, saw their rendition rise to number seven for four weeks. Their version can be heard on The Quintessential Billie Holiday, Vol. 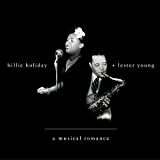 4 or on the compilation CD, Musical Romance (Billie Holiday and Lester Young). While Ross’s version of the song may have sounded less than genuine to some, “Mean to Me” is far more convincing coming from the person to whom Lady Sings the Blues is a tribute, namely Billie Holiday. It was a staple of Holiday’s repertoire and came to symbolize the personal relationships which she brought to the song. This section suggests definitive or otherwise significant recordings that will help jazz students get acquainted with “Mean to Me.” These recordings have been selected from the Jazz History and CD Recommendations sections. Lester Young is a central figure in two definitive recordings of “Mean to Me.” Billie Holiday’s 1937 performance (The Quintessential Billie Holiday, Vol.4: 1937) features Young and is unrivaled among vocal versions of the tune. Young would later record a brilliant instrumental version of the tune with his own trio (The Lester Young Trio), featuring the brilliant piano of Nat “King” Cole piano and the understated drumming of Buddy Rich. Sarah Vaughan produced another classic version in 1950 (Sarah Vaughan in Hi-Fi) with a band featuring Budd Johnson and Miles Davis. Movement Leap down and step up through most of the song; everything else either steps or arpeggiates. Section “A” of this piece uses three different common chord progressions – I – vi7(b9) – ii7 – V7 (“Sweet Lorraine”), I –I7(V7/IV) – IV – iv (“I Got A Gal In Kalamazoo”) and I – iv – ii7 – V7 (“Blue Moon”). Section “B” starts off in major with a I - ii7 – V7 turnaround, then cleverly shifts to minor by turning the IV into a +6/V7 of the new minor key. The minor sequence goes though the i - +6(bVI7) – V7 once before turning into a II7 of the original key on its way back to the final “A” section. The musical Dorsey Brothers--Tommy (trombone and trumpet) and Jimmy (clarinet and alto saxophone)--are featured prominently on several of the earliest jazz versions of this tune from 1929: one, by their own group (Dorsey Brothers Orchestra), then with trumpeter Phil Napoleon’s Emperors, and another accompanying vocalist Annette Hanshaw. Some standards seem to fade in and out of popularity. No doubt Billie Holiday’s version in 1937 created some interest for a short time, but the tune takes another hiatus until it resurfaces with tenor saxophonist Lester Young’s stellar version with Nat “King” Cole and Buddy Rich in 1946. This was a landmark recording session for Vaughan. The slyly swinging performance of "Mean to Me"' features some tasty trumpet work by Miles Davis behind the vocals. The primary instrumental soloist is the terrific Budd Johnson on tenor saxophone. The singers' singer could sing any style of music and did. She had perfect intonation and personalized phrasing that has been examined closely by many great singers. Here she is featured with Art Pepper, Ben Webster, and Jack Sheldon, to just skim the surface, and an equally prestigious rhythm section with arrangements by Marty Paich. This is one of those classic albums that belongs in every jazz lover's collection. Cornetist Adderley and guitarist Wes Montgomery work their way through nine selections with alternating personnel. On this gently swinging number they are joined by Keter Betts on bass and Louis Hayes on drums. A young Betty displays the idiosyncratic style which she refused to compromise and on which she built her reputation. This is a creative version of "Mean to Me,"' and the CD is a great introduction to the vocalist. Bassist Counce and his ultra-swinging West Coast quintet offer a delightful performance of "Mean to Me,"' with a much brighter tempo than is typically associated with the tune. Guitarist Kessel, bassist Ray Brown, and drummer Shelly Manne all placed first on their instruments in the three major jazz polls in 1956. Here they cover eight standards and one Kessel composition, and the performances are perfection.